When it comes to keeping up with laundry duties, It Is Fixed Appliance Repair understands how frustrating it is to have a washer that won’t start. 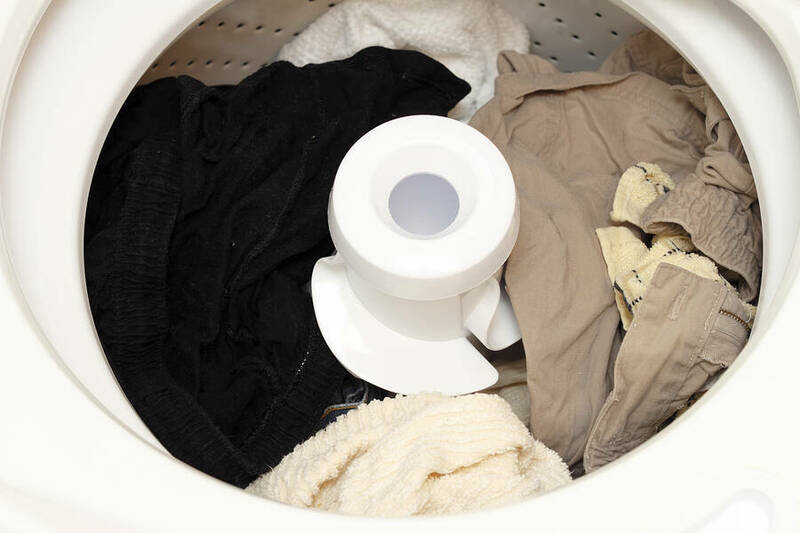 There are many reasons why a washing machine might not turn on. The following guide includes troubleshooting steps for both front and top loading washing machines. Prior to beginning troubleshooting, empty the tub of your washer (if possible), drain any remaining water in the base, and unplug the unit. Make sure you have your user manual handy for additional instructions and guidelines. If you are unable to resolve the issue on your own, It Is Fixed Appliance Repair offers same day* appointments in Atlanta and the Metro Atlanta area. Contact us today. One common but often overlooked reason a washer won’t start is a tripped circuit breaker. A lack of power to the circuit board is a good indicator that the entire unit is not receiving power. Be sure to check your breaker box any time your washing machine seems unresponsive. If you find the breaker has been tripped, reset the switch, and attempt to start your washer again. Even a minor wiggling of your washer plug can loosen its connection to an outlet. This might cause the washer to fail to start or respond when you adjust the wash settings. Pull your machine back far enough from the wall to see the plug. It is most likely located in the wall, but it could be an outlet in the floor. Check to make sure the plug is seated snuggly against the outlet – there should be no space between the plug and the faceplate. If the plug will not push all the way in, if it seems to be at an angle, or if you see any signs of damage to the cord, contact a professional repair service like It Is Fixed for assistance. The automatic door lock is a safety feature on most washing machine models. It prevents the door from being opened during the washing cycle. If the door lock switch has failed or is broken, the washer won’t start. The door must close completely, and register as “shut” to the switch sensor. Whether you have a Front-Loading or Top-Loading washing machine, begin by opening the lid and inspecting the door latch sensor. If it appears damaged or obstructed, this might prevent the machine from knowing the door has been closed. When the lid is closed, attempt to wiggle it to see if it has shut firmly. If the door feels loose or ajar, it may need to be adjusted or repaired. The integrity of the switch mechanism can be tested with an Ohm multimeter, to check for continuity. If there is no continuity, the switch will need to be replaced. The control board is the “brain” of your washing machine, and an electrical malfunction can cause your washer not to start. An error with your control board might cause the door lock not to register, the motor not to turn on, and other issues. Begin by visually inspecting your control board for signs of damage. Remove the back of the control panel and look for signs of charred or rusted wires and connectors. If any component to the control board is damaged, It Is Fixed can remove and replace the broken parts to get your washer starting again. All washing machines use a motor to operate. The motor makes the agitator spin within the tub, churning the clothing and water. If the motor has failed, the washer won’t start. Listen for a strange or new sound from your washing machine when you try to get it to start; a weird noise indicates an issue with the motor. You can test the motor separately by removing it and the belt from the washing machine and checking to see if it will operate on its own. If the motor turns on, then the issue could be the transmission. If the motor does not turn on it will need to be replaced. If a knob on your control panel is faulty, your washer won’t get the signal to turn on. Check your knobs to see if any appear worn or loose; if a knob wiggles, you might need to replace it. Test all of the knobs on your machine and see if your washer will start in a different mode; this can help you determine which knob isn’t working. Replace any knobs that are faulty.